We all know that Google is the king when it comes to searching online, but there’s another place that rivals even the king when it comes to searching- Pinterest! Pinterest SEO is a huge factor in the amount of traffic you bring to your blog from Pinterest. Think about it, when you want a craft for the kids, where do you look? Pinterest. Looking for renovation inspiration? Pinterest. Need a cool idea for your next big party? PINTEREST!!! For bloggers, this is good news! It means even if you have a very small following on Pinterest, you can still get noticed and found via the search bar. 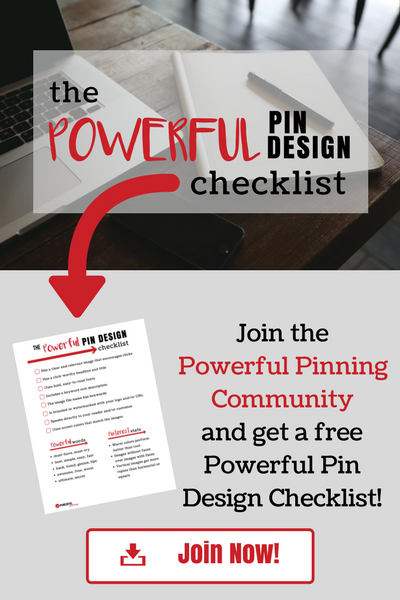 But in order to get found on Pinterest you need to optimize your profile and your pins. Just like with google, good Pinterest SEO will go far in helping to explode your traffic and sales on your website! So how exactly do you optimize yourself for search on Pinterest? 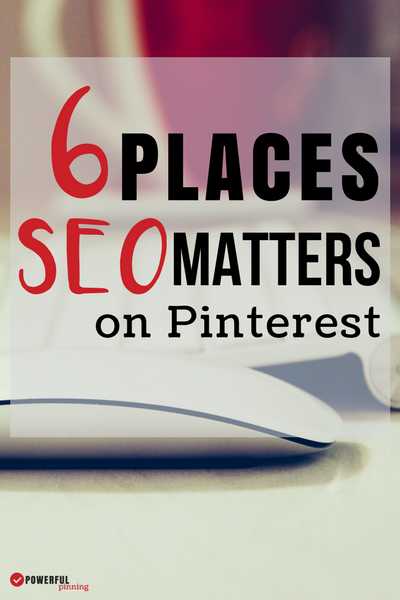 There are 6 key areas where SEO matters on Pinterest. So let’s get started! Your profile if your first impression to your followers. It’s also just one way you can tell Pinterest who you are and what you are all about. Your profile has 2 parts, both of which are important in terms of Pinterest SEO. Your name and your profile description. First up is your profile name. Please, please don’t just name your profile Jane Smith and leave it at that, because unless you are Madonna or Kim Kardashian or Donald Trump – your name means next to nothing when it comes to Pinterest. You need keywords too!! Now, If your actual name is important to your brand then that should go first. Otherwise the name of your blog or business can go first. Then place a hyphen or a vertical bar and add a couple of keywords that describe what you are all about. Next is your profile description. You only have 160 characters here so make them count! Give a short keyword rich description of what you do and what you will be pinning about. Remember to speak directly to your ideal follower and include a call to action. Now let’s move on to your boards. When you are creating your boards you have 2 important spots to place keywords for good Pinterest SEO. The most important- THE BOARD NAME. The board name is an obvious place to put a keyword that is often overlooked by so many bloggers. Don’t name your board something odd, off the wall, or cute. If your board will contain frugal recipes- name it FRUGAL RECIPES. For example, if you write about kid’s birthday party ideas and want a board about planning a dinosaur birthday party which do you think will be more likely to be searched and get relevant results: a board called Roar Like a Dinosaur or Dinosaur Birthday Party? Exactly- Dinosaur Birthday Party will be searched a ton more time and get you traffic from people who want to throw a dinosaur party! We aren’t done with your boards yet, you’ve also got to optimize your board descriptions. You have 500 characters to get in as many keyword phrases as possible. Don’t just list your keywords, try and get them into a sentence or 2 (even if it’s just a list). So for the Dinosaur Birthday Party board example, I would want to work in phrases like dinosaur birthday party menu, dinosaur crafts (for kids, for toddlers, etc), dinosaur party decorations, and so on. Now that your profile is all set, let’s move on to your actual pin images. For every pin image make and upload to Pinterest you need to add a keyword rich description that tells your readers exactly what they will find if they click through your pin. Your goal is to be at the top when someone types your keywords into the search bar on Pinterest. You have a max of 500 characters here, but I recommend keeping your descriptions closer to the 300 character mark. Pick 2-3 of your top keywords to weave into this description. The bold words are all keywords for that particular topic that could be reached through search on Pinterest. 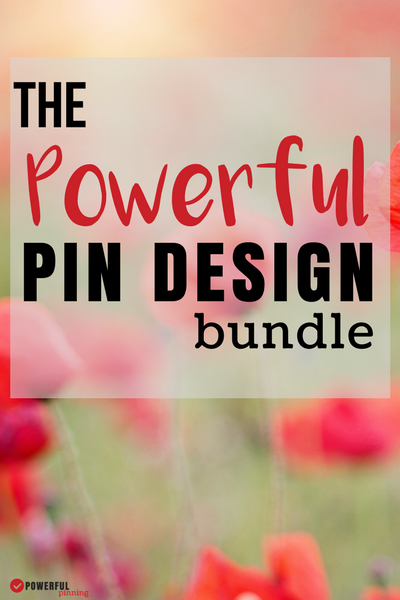 Check out my Powerful Pin Design Bundle to get help creating amazing pins that are optimized for Pinterest SEO! Now let’s move on to the Pinterest SEO stuff that is more likely controlled on a website level. That starts with your titles. Before we go any farther, if you don’t already have Rich Pins enabled on your site, go do that right now. If you need help check out this article from Yoast on setting up rich pins. Once that is set up you will notice that your post title will auto-populate on your pins. This means you need to make sure that your title has your main keyword in it. More than likely you’ve already done this since you are optimizing your site for organic search as well. One thing worth mentioning, especially if you post a lot of recipes, is that the name you input as your title in your recipe card will be displayed as the rich pin title on Pinterest. So make sure your recipe card name also includes your keywords. Image file names are often one of the most overlooked areas when it comes to Pinterest SEO. I see so.many.pins that have auto-pulled a description of “IMG12535.JPG”. And that tells Pinterest a big old NOTHING when it comes to what the pin and link are about. And why would they want to show a pin like that at the top of a search? 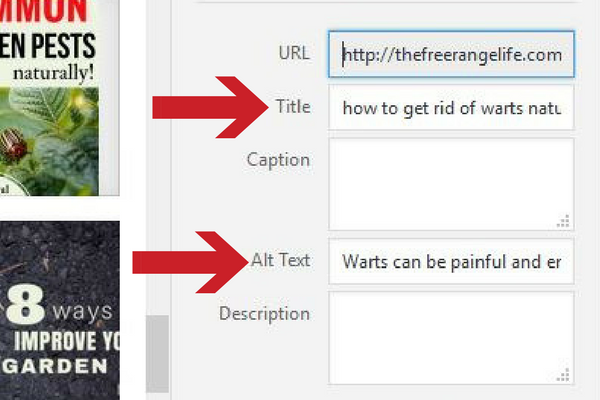 Whenever you save images be sure to name them (or rename them) with keywords in mind. So instead of “IMG12353.JPG” save it as “dinosaur party ideas.JPG”. This goes for every single image you upload to the media section of your website since the image file name is what will auto populate in the title tag area of the image. It also applies to any image you upload directly to Pinterest. An finally, we have your Alternative Text Tags. Again, this is an often overlooked SEO area for bloggers, but make sure that every single image on every single post has the appropriate alt. tags added. You want to make each image’s tag different, so don’t just copy and paste the same keyword description into every photo. When it comes to your main Pinterest image, use the pin description you crafted like we talked about above. These alt tags are what are pulled as pin descriptions every time someone directly pins from your site and since most people don’t bother with changing the description, this ensures a perfectly optimized pin description each and every time your articles get pinned. Hi! 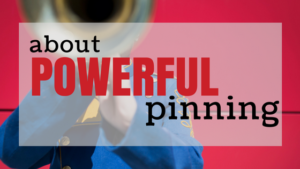 I am Sarah and welcome to Powerful Pinning! 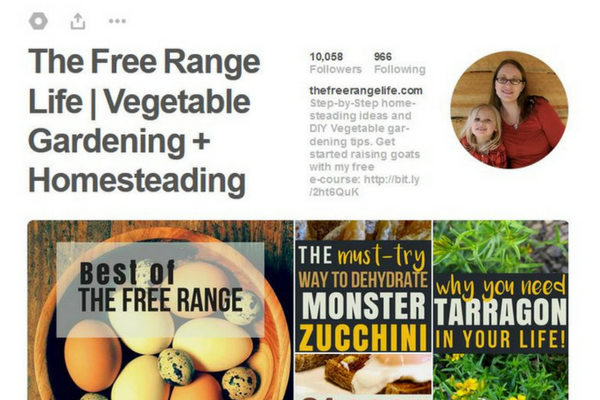 This is a place to share everything I learned about Pinterest while growing my first blog, The Free Range Life.